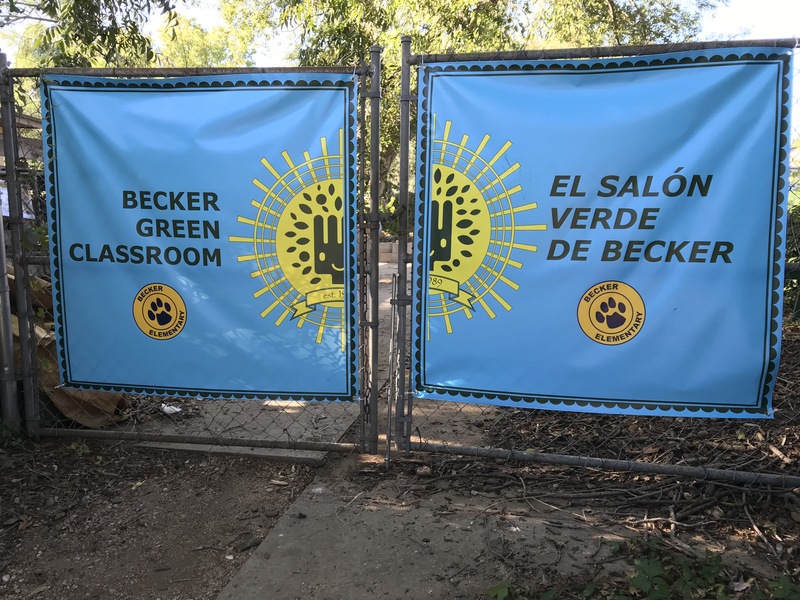 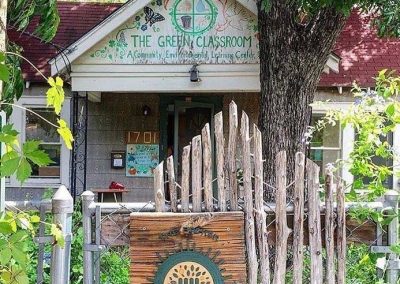 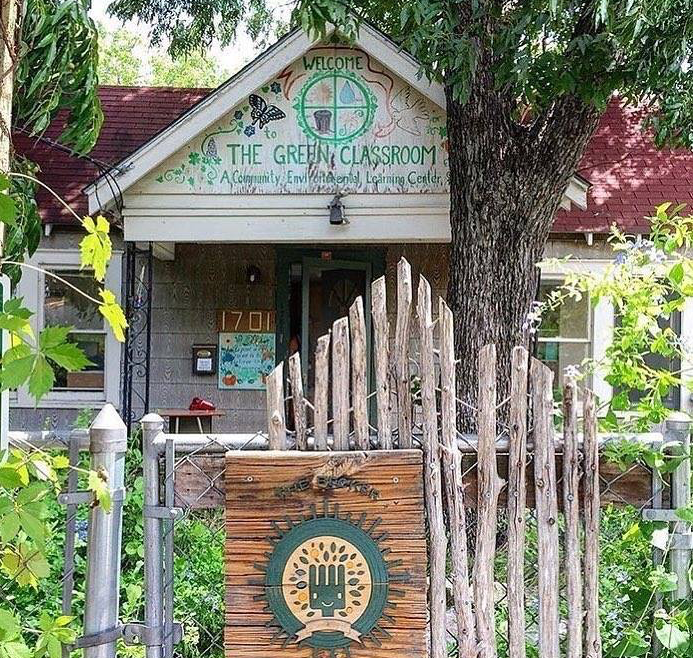 The Green Classroom is a 10,000 square foot natural garden without chemicals that serves as an interactive outdoor classroom for students at Becker Elementary in Austin, Texas. 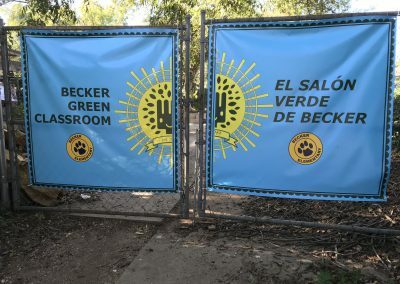 Each Becker class has a designated bed where students plant, grow and harvest as they participate in activities that integrate curriculum concepts into their gardening. 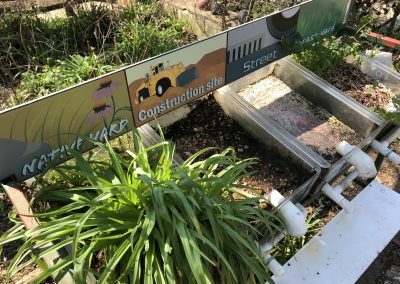 In addition, the garden has rainwater catchment tanks, a compost system, watershed and runoff models, alphabet and herb gardens, and a pond. 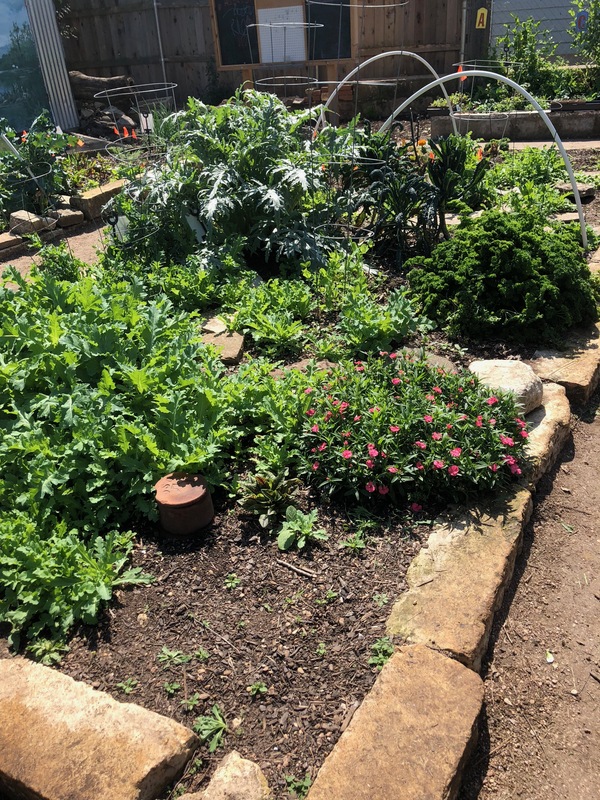 Becker students share the garden with other Austin ISD students who participate in the City’s Earth Camp program and Keep Austin Beautiful’s Green Teens and Green Stewards programs. 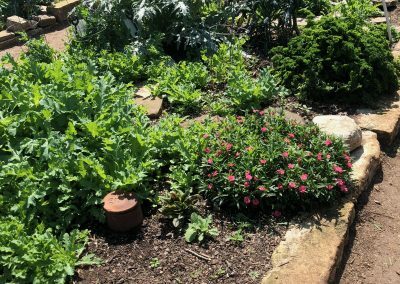 Students’ hands-on experience in the garden fosters a deeper understanding of science, ecology and healthy food and promotes students’ sense of well-being through outdoor learning.